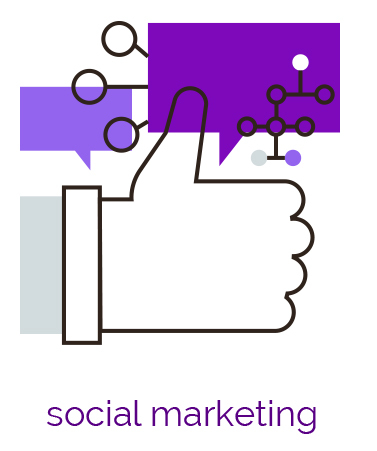 Chainlink Marketing Platform Social Media Marketing enables seamless integration between your social channel profiles and data with your marketing programs and workflows. Use the tremendous power of your prospect, lead, and customer social data to drive dynamically updated digital automation programs, and monitor results across campaigns in the Chainlink Data Warehouse. Leverage social channel into your customized messaging, offers and overall customer online experience. Chainlink Marketing Platform anonymous tracking tools allow you to follow your customers and prospects alike. Use the Marketing Attribution tools to assign dollar values to different social marketing promotions and campaigns, and determine which social promotions or influencers are driving the highest conversions, and which you should be pulling back from. Chainlink Marketing Platform makes it easy to integrate and promote your best customers to become brand advocates and share their experiences across social channels with the simple click of a Social Sharing button, which can be included on every marketing touchpoint. Using our customizable Social Share Buttons and Social Follow Buttons, make it a painless experience for your customer to transform Social Media Marketing into your biggest inbound sales tool.